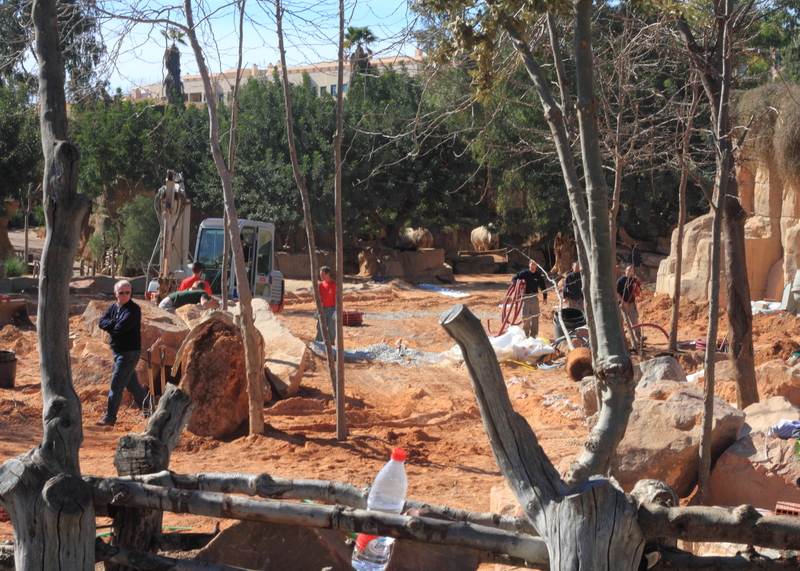 It was a beautiful sunny day as I arrived at the Bioparc and took up my usual spot in the cafeteria. As usual I tried out a few test shots to make sure all the camera settings were ok and I took this to show the fabulous clear blue sky. 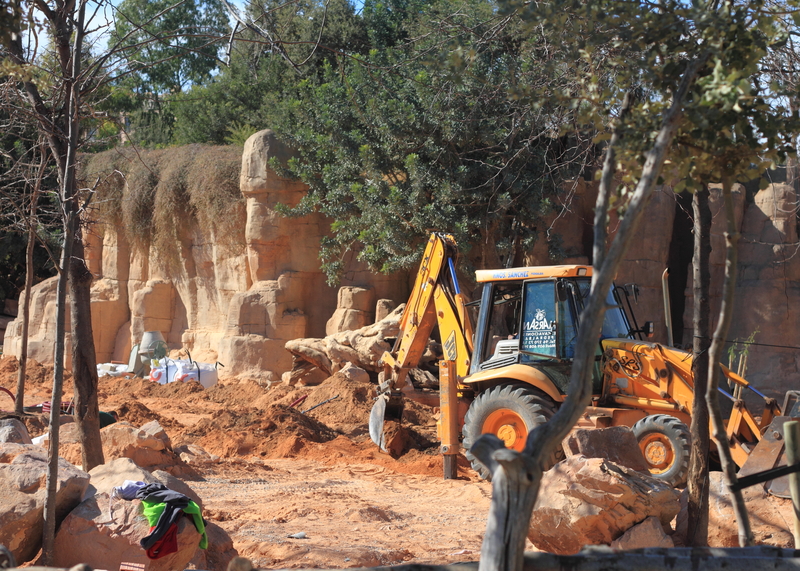 As I entered the parc I encountered building works in the savannah where the Zebras, Rhinos and Ostriches are kept. I wasn’t able to find out what was happening here or where the animals were being kept, (I don’t think the Rhinos were still there!) so I will keep a look out next time to see what has changed. 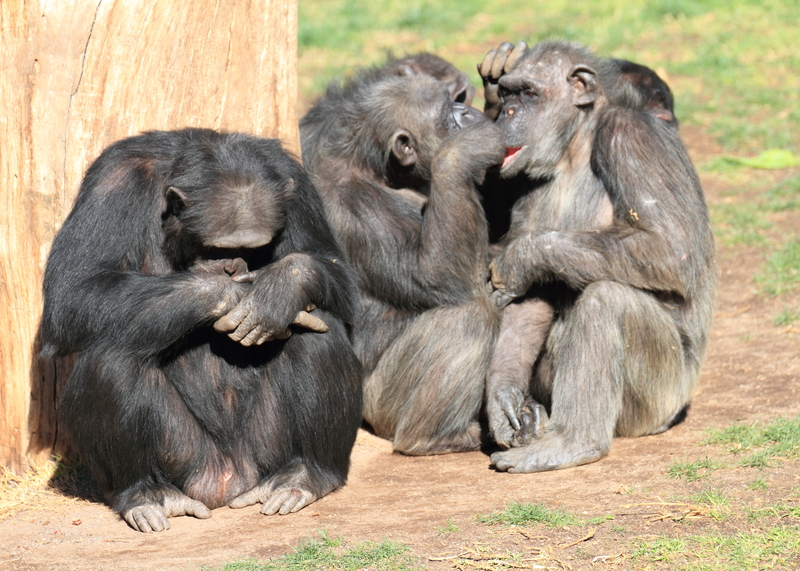 I took a different route this time and visited the primates first, obviously the sun and unusually warm weather was having an effect on them as they were all sitting, laying or sleeping. Nothing that would make an interesting photograph although I did notice that one of the gorillas had a red, raw looking, gash on its leg. I was unable to capture this clearly on camera but she must have been involved in a squabble recently. 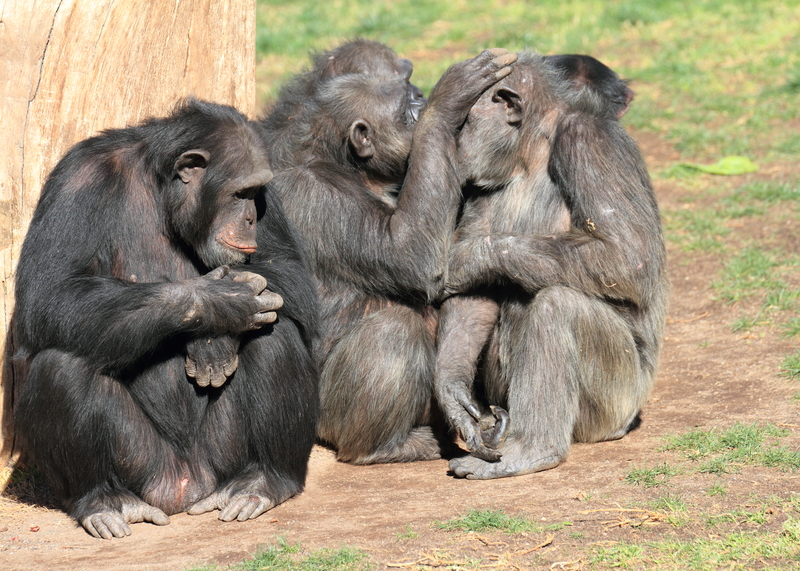 Further round the chimpanzees were also relaxing in the sun. 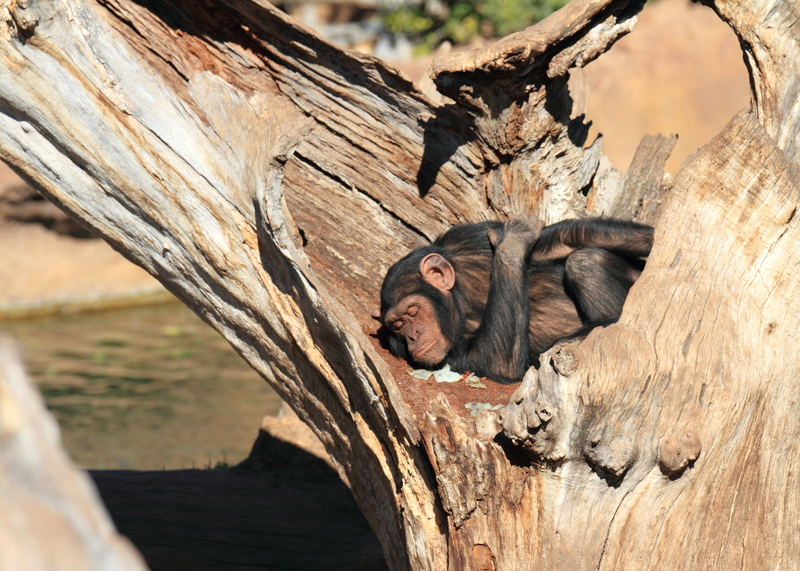 The youngest chimp had found a novel place for a nap, whilst the rest of the family sat in a huddle grooming or resting. 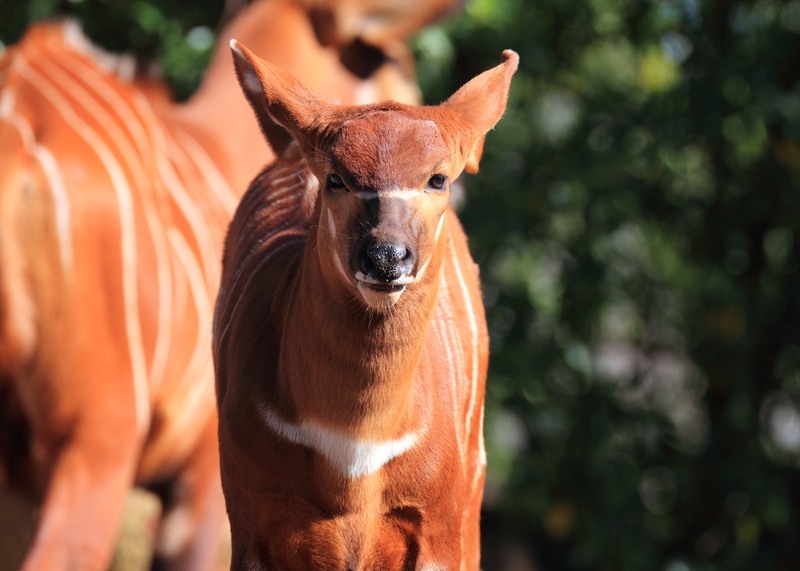 I was given another chance to view the recently born Eastern Bongo enjoying the sun with its mother looking on. The baby was born on 14th November last year and is doing well, as these pictures show. 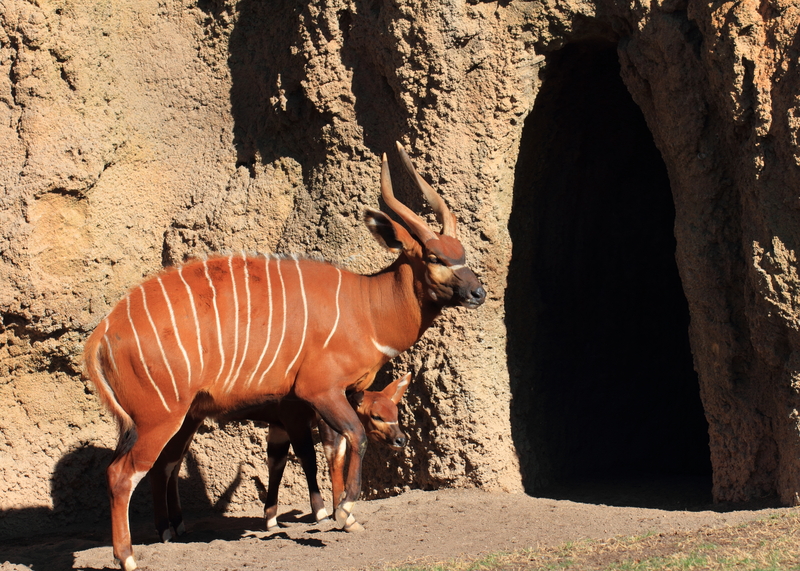 The Bongo is a large species of antelope that is found inhabiting the jungles and forests of Eastern, Western and Central Africa. 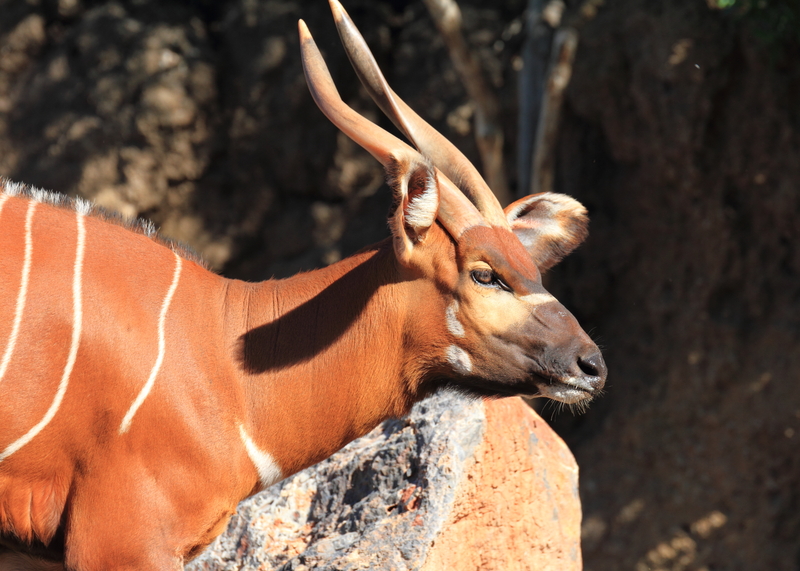 They are the largest forest-dwelling antelope species and one of the most distinctive, with a chestnut coloured coat and long horns that spiral as high as 90cm in males. 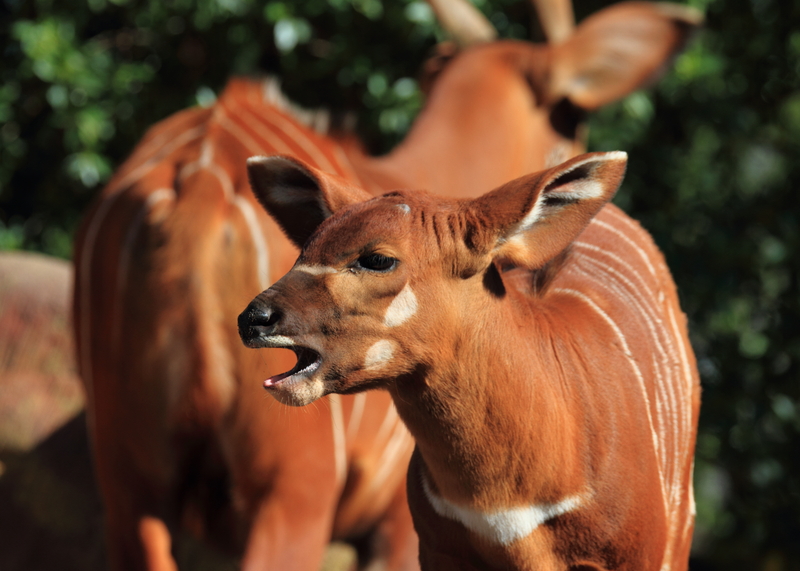 There are two recognised sub-species of Bongo which are the Mountain Bongo (also known as the Eastern Bongo) and the Lowland Bongo (also known as the Western Bongo), which is primarily found in the forests of Central Africa. 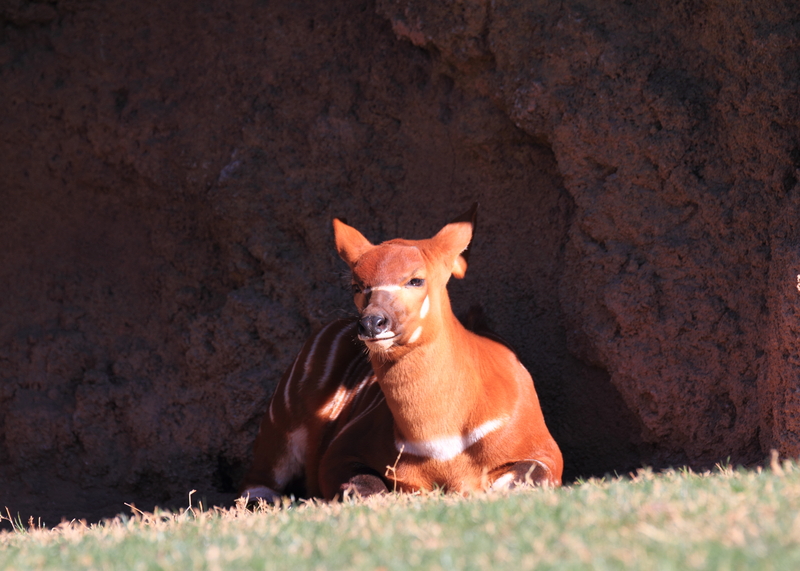 In the last few decades, a rapid decline in the numbers of wild mountain bongo has occurred due to poaching and human pressure on their habitat, with local extinctions reported in Cherangani and the Chepalungu hills, Kenya. 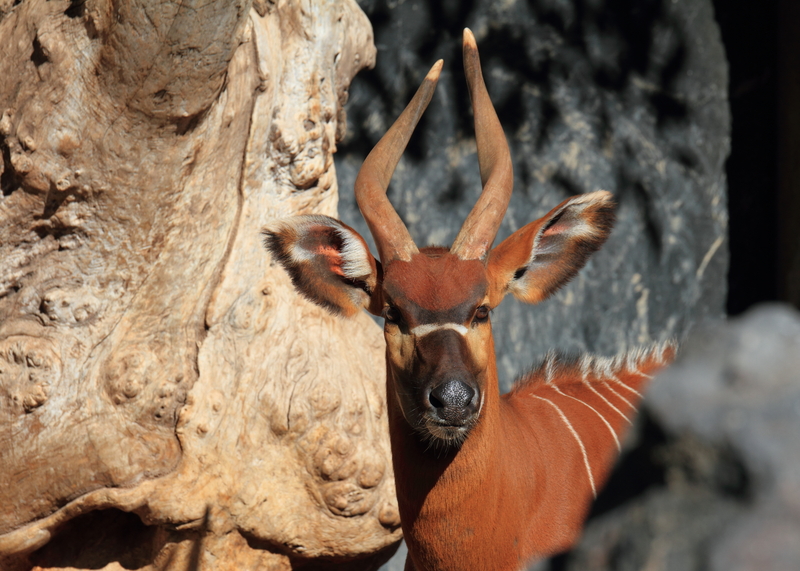 The western/lowland bongo faces an ongoing population decline as habitat destruction and hunting pressures increase with the relentless expansion of human settlement. Its long-term survival will only be assured in areas which receive active protection and management. At present, such areas comprise about 30,000 km2, and several are in countries where political stability is fragile. So, a realistic possibility exists whereby its status could decline to Threatened in the near future. 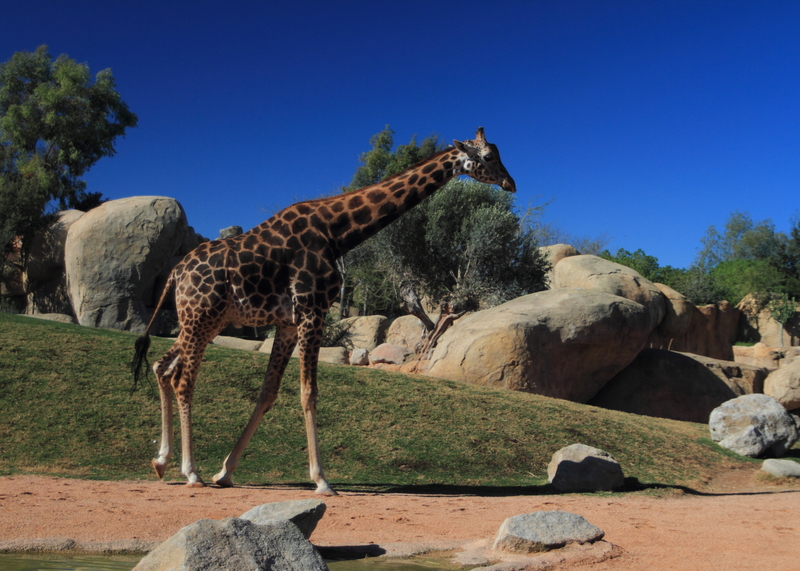 The birth of a new baby at Valencia is a positive step to preserving this species, but as usual it would take a massive change in human nature to reverse the damage inflicted by his relentless pursuit of profit. I can only hope that more protected areas will be developed to ensure the survival of this and all the other endangered species. 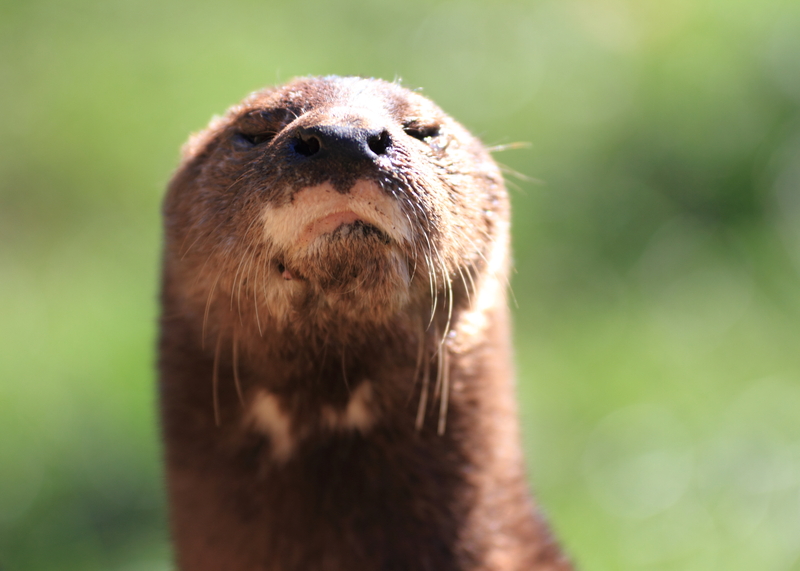 An animal I don’t often mention is the spotted necked otter of which there are three at the Bioparc. It has become a pleasant habit of these creatures to come running across to greet me as I walk past. I wasn’t disappointed today, although I was a little slow in getting the camera ready to take a few pictures, hence just the one. Perhaps I’ll get some more next time. The wind began to pick up as the day went on and it became quite cold. The bird display was cut short as some the vultures were having difficulty, and most of the animals had headed for shelter so after another coffee and view of the Giraffes it was time to head home. More news in a couple of weeks.